Cinnamon Bay Estate is unique tropical treasure on St. John in the U.S. Virgin Islands with no detail overlooked, you won’t want to miss this rare opportunity for discriminating guests. Located in the most exclusive and sought-after neighborhood of Catherineberg, luxurious Cinnamon Bay Estate is nestled at the end of a private road and surrounded by lush, green national park land on three sides, while the glistening expanse of the Caribbean is stretched out below. 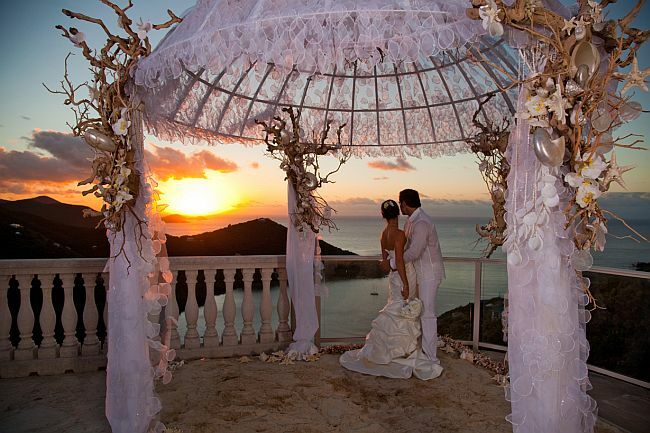 Amazing views of Cinnamon Bay. Villa South Palm, a four-bedroom, 4.5 bath luxury pool villa located in the exclusive Virgin Grand Estates, overlooking picturesque Great Cruz Bay on the popular south shore of St. John. Offering four equal-sized master bedrooms with king beds guarantee that each couple has a terrific room – all with sea views. Two have private balconies, and two share a private patio. Satellite televisions, ceiling fans & A/C, bedside reading lamps and built-in storage complete the picture. Villa South Palm allows Weddings. Planning a wedding? Love is always in the air in Love City, and never so much as when St. John’s “Barefoot Minister” Anne Marie Porter is in sight. 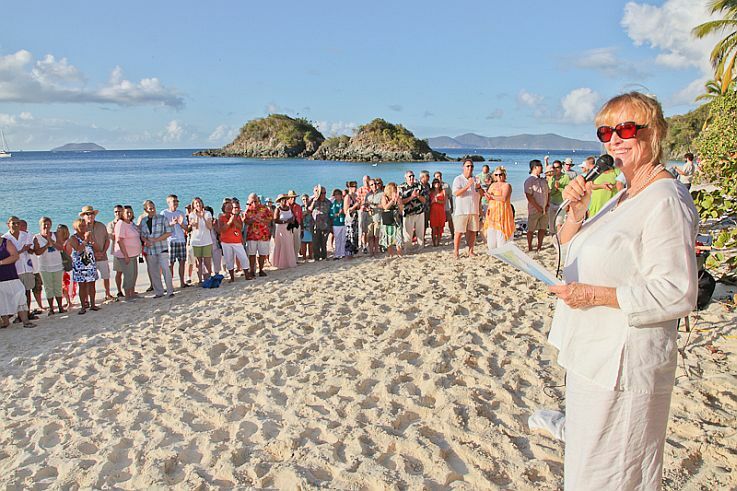 Anne Marie Porter presides over her 10th annual vow renewal ceremony on Trunk Bay. 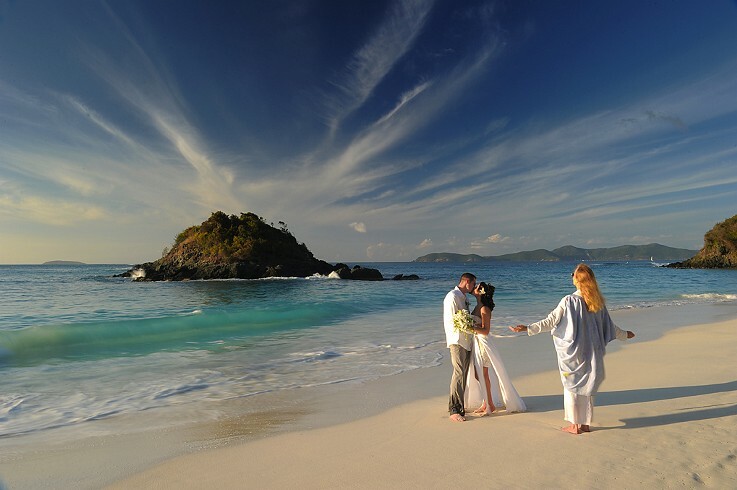 Renew your vows on Trunk Bay beach this Valentine’s Day. 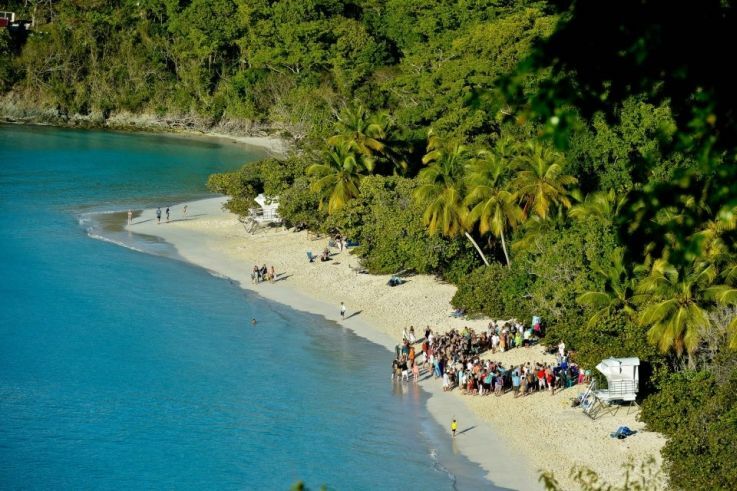 They don’t call St. John “Love City” for nothing. Need a place to get married? Or honeymoon? Or fall in love? We’ve got you covered. And if you are lucky enough to have already done all three, we’ve also got the perfect place — and time — to tell your spouse you would marry them all over again.